Discussion in 'Items For Sale or Trade' started by WheelJacksWrkShp, Aug 14, 2010. 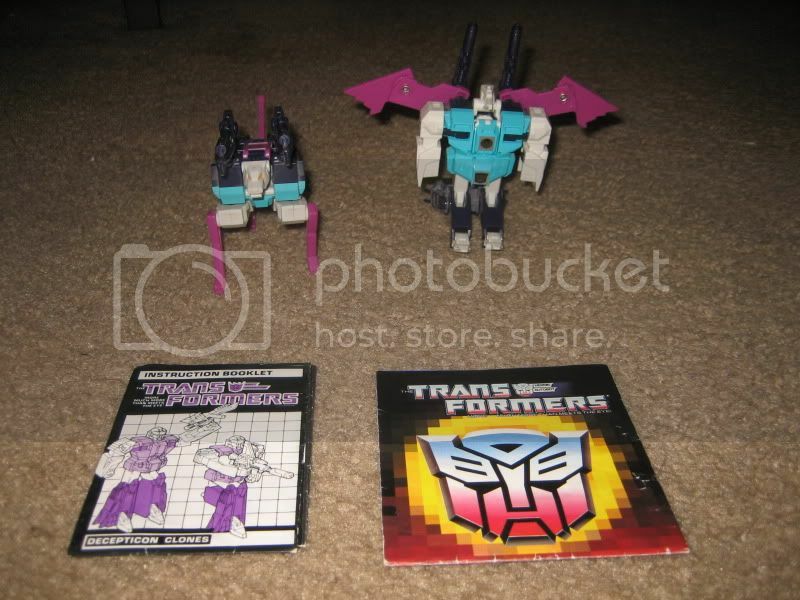 Here are the Decepticon Clones Complete with both weapons and instruction booklet plus the other Tranformer toys booklet. 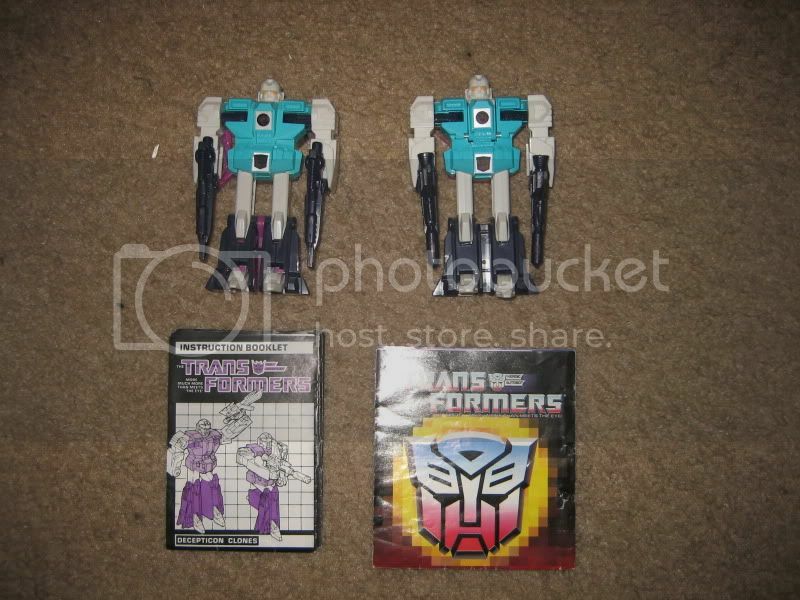 I can't find these on Ebay this complete so I don't know what to ask for them. I guess hit me with an offer and we go from there. what are you looking to make on them ? I don't know. I have seen the instruction book alone go for $10. Right now on ebay there are a pair for $40 with no instructions or weapons and then there is one by itself for $40. Considering mine have been display only and the joints are not loose I would imagine they are better than most. If someone could point me in the direction for a market norm better than ebay I will use it. Here are some indicators of pricing. I chose these current listings since they're priced at what I feel is an ok price. IMO $35-40 is a fair price for yours. You have to count in that they are without stickers. They are bone white. They are a little dusty but there is no yellowing and I forgot to photograph the sticker sheet. The stickers are not applied and still on the sheet. Un-applied stickers is a good thing right? Yeah I'd say that could help increase the value of these. I already have a nice set of these, but I'd say that your set is probably worth around $50-$60 or so as is. If you put them on ebay as an auction and let it ride, I'm gonna bet that's about what you would get for them. Sounds cool, now all I need is someone that wants them LOL!